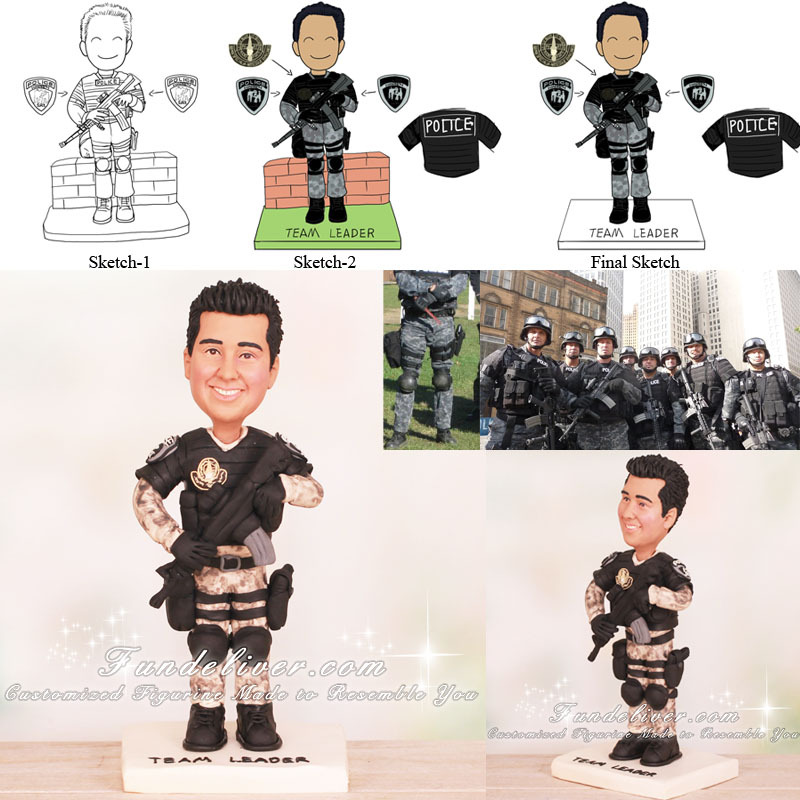 This is a completely customized SRT SWAT cake topper ordered by one of our customers. He is a SWAT (called SRT in his department) guy. He is wearing gray camouflage with SRT badge on both arms and SWAT vest saying POLICE on front and back. 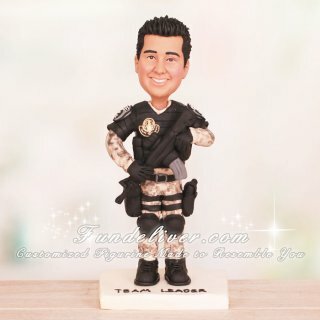 He is standing on a white base with the writing TEAM LEADER on and holding his weapon at his right side.